Col's Creating Memories: Exciting News!!! 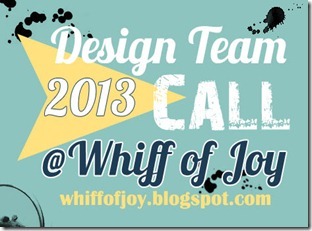 Yes.....Whiff of Joy are having a Design Team Call, so if you love all things Whiff of Joy and would like to work with an awesome team and of course don't forget the lovely Katharina Frei, then you need to apply! !